I once had a pretty heavy Volvo habit. It started in a small way, when I fell in love at the age of 12 with the old 145. I knew enough Latin by then to know that Volvo means "I roll". 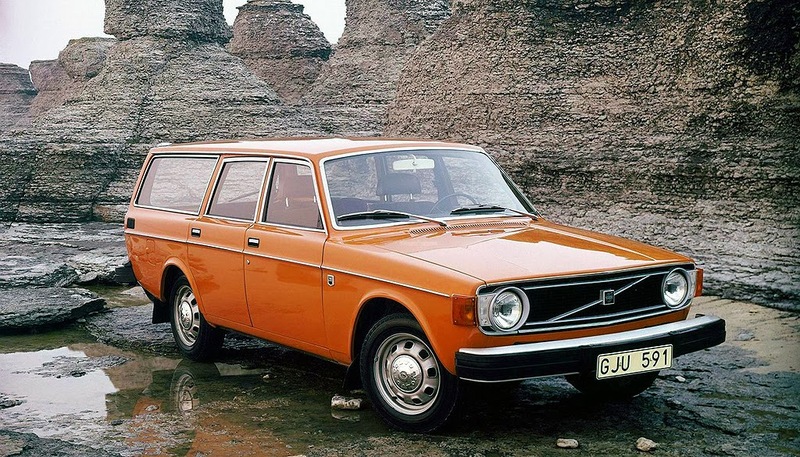 You have to remember that this was 1971, a time when Volvo was relentlessly Swedish and seemed, by comparison to normal cars, to have been carved out of a single metal ingot. Solid is not an adequate word. 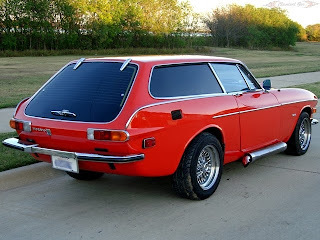 Hard as it may be for younger folk to understand, Volvo had a certain coolness. And then they ruined it all with the introduction of the 244 which looked like a slab with a kind of snowplough stuck on the front. Even as a child, I felt that this was the antithesis of aerodynamicism. And it was ugly. But this was a mere lovers’ tiff. By the time I reached man’s estate I returned to Volvo with a vengeance. First there was a 244DL maroon saloon that nearly dislocated both of my shoulders thanks to an absence of PAS (hard to imagine these days). In time, this car gave me biceps like I’ve never had before or since. In time, I graduated to a 240GL estate in the kind of blue favoured by the Legion of Mary. 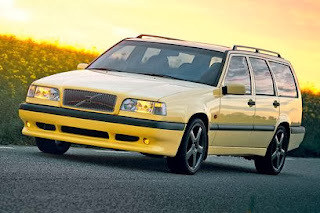 I wasn’t choosy; I just felt (and I think I still do) that God created Volvos to be estates. Saloons have never looked quite right to me. I hope you will forgive a digression here. Speaking of the saloon/estate issue can anyone honestly say that an Audi A4 looks as good as an Audi A4 Avant? And, while we’re on the subject of Audis, just think of the A5. See what I mean? Cars that are, essentially, a big box sandwiched by two smaller boxes are struggle against all the odds to be elegant. Even the Maserati Quattroporte. Now, there’s a car I’d like to see in a “shooting brake” (nothing so utilitarian as an estate) version. Anyway, where was I? Yes. Then there was the 240 GLT estate in silver with as many bells and whistles as you could hope for in a 1987 car; I loved it. And after a flirtation with Land Rover, it was back to Volvo, a saloon admittedly but a rather attractive 850 GLT that got me my first speeding ticket and which eventually threatened to drain my pockets dry with the fuel bill. I’d been away from Volvo for quite a while when I sat into this bright red V40 T2 R-Design, a modestly proportioned car that is aimed, essentially, at the same part of the market as the Audi A3. Nice. The car. Not my ghostly finger tip. Hang on, a moment. Let’s step out of it, for a moment. The Volvo V40 is a very lovely car in appearance. 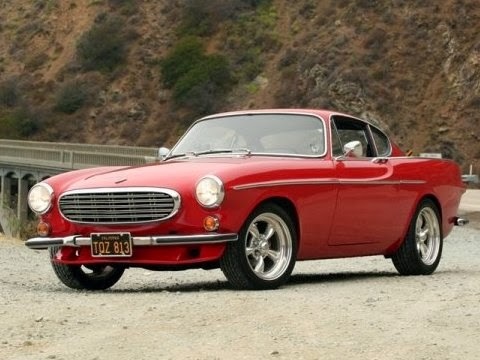 It has more than a dash of the supremely elegant, almost futuristic P1800 that even those whose veins are not filled with four star unleaded will recall as the car that Simon Templar drove in The Saint. Yes, that’s how old poor Roger Moore really is. The legendary P1800. Estate version looks a little like a Reliant Scimitar. But better. Anyway, back inside. As soon as I did sit in, I realised that some things don’t change about Volvo. Their seats are always excellent and these ones seemed to have maximum lumbar support and a rather comforting embrace. Other things don’t change either, and they are not immediately obvious. Safety is every car producer’s concern these days but Volvo remains out front, well ahead of the posse. 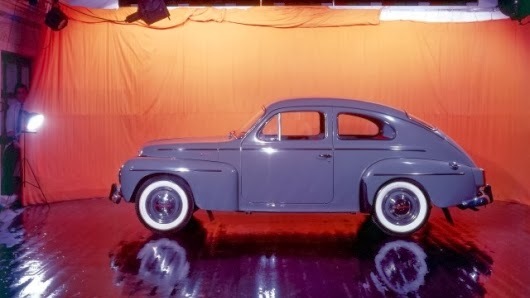 Back in 1944 when most of Europe thought about safety in terms of bombproof shelters, Volvo introduced the world’s first safety cage. They did the same with the 3-point seat belt in the year of my birth (and that’s more years ago than I care to remember, as the late Harry Moore used to say). 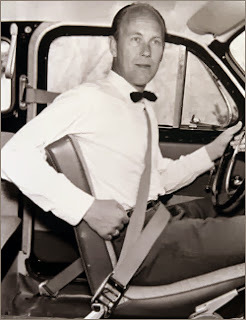 When people used to dress up to show off the latest seat belt. 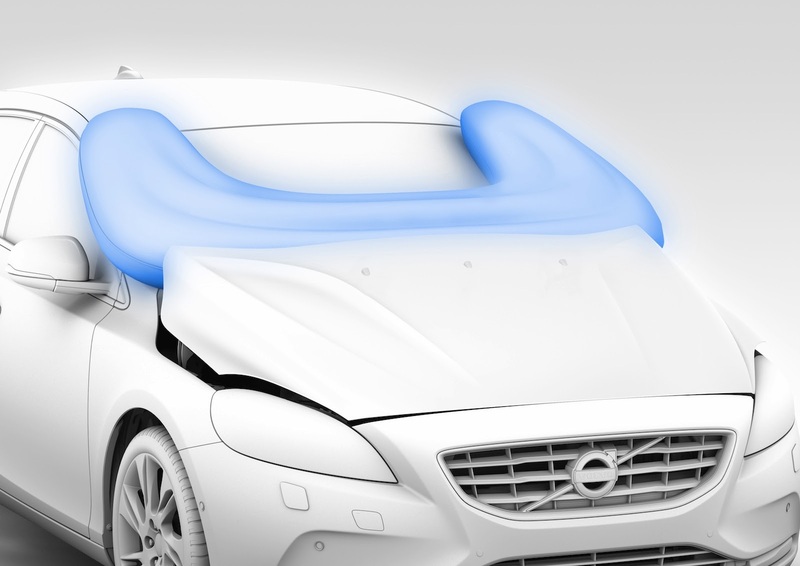 The innovation goes on: there was the first side air-bag in 1994 and now, invisible beneath the bonnet of the bright red V40 which I was about to drive, the world’s first pedestrian air-bag. 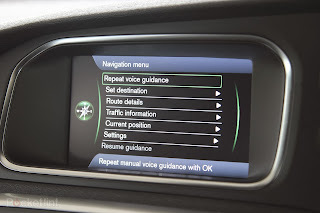 Volvo is careful and considerate. The world's first pedestrian air-bag. There are still people who think that Volvos are boring, either because they last drove one when most of them actually were, or because of all this talk of safety. I mean, Lamborghini don’t talk up the safety features, do they? And even BMW tend to apply the soft pedal when rehearsing such characteristics. It’s rather a double-edged sword. I found the combination of Volvo solidity (with all due respect to Ford, the V40 didn’t feel Focus-derived), cocoon-like cabin (as far as the driver is concerned, at any rate) and the world-leading safety features all very comforting and reassuring. The car itself, however, looked like a little beast. Red, as I say, and given the R-Design trim which, to be brutally honest, looks a touch boy-racerish. And in a slightly aggressive style. That just seemed rather out of Volvo’s innate character. A Volvo might be a beast (remember the old T5 which used to be nicked for so many bank heists?) but in its outward demeanour it should drop only the subtlest of hints about the fact. Now, don’t get me wrong. I liked this car. 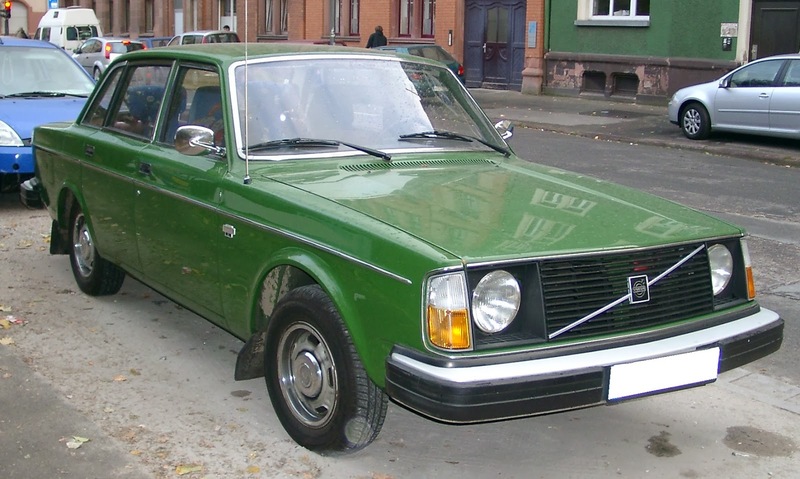 It had an essential Volvoness that spoke directly to my inner Volvo owner and it was comfortable, refined, impeccably well mannered. But, dear reader, it was a little disappointing in terms of performance. And I don’t mean that I wanted it behave like it looked. It’s just that the 1.6 litre 120bhp petrol engine seemed, at times, to flag at the task of hauling around quite a lot of car (despite its category). It wasn’t seriously underpowered; it’s just that the performance fell a little below what would make the car feel absolutely right. I’d imagine that the diesel D3 with 148bhp would sort out that little problem and, if I were going for one of them (which is tempting in theory), I’d pass on the R-Design. I had to switch the dash display to something less games-console themed within minutes of sitting in to the car – but, to be fair, the clarity of display was first class. Other controls were, to be honest, a little fiddly at first but after a week I had the hang of them. This is a thing I have noticed about proper, professional car writers (Sam Wollaston excepted, as always, bless him; he rarely gets down to details). They seem to whinge, to some extent, about all controls, touchscreens and what have you except those in BMW, Mercedes and Audi models. I reckon it’s because most of them have the car for only a week and don’t get used to them. Looks quite straightforward to me. I might well be wrong, though. The last BMW I drove was from the early noughties, the Mercedes was probably from the Berlin Wall era and the Audi was somewhere in-between. The more anorakish amongst my few readers here may have noticed that I didn’t dwell much on the Swedish thing. 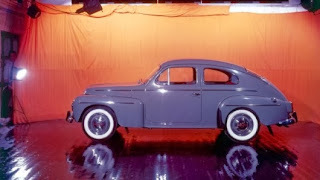 Look, I know that this car is made in Belgium and I know that Volvo has trodden a complex path in terms of the automotive industry but it remains for me, at heart, Scandinavian. It’s a personal thing. A matter of faith. Perhaps you never lose it. Perhaps I’m just a lapsed Volvo owner who will eventually embrace the faith again. I just might.